BLOG ARCHIVE Avoiding wedding disasters…. You have probably worked tirelessly to ensure that your wedding day goes by without a hitch. Outfits, refreshments, food, seating plan, colour themes, hair and make-up, photographer, car and entertainment have all been booked months in advance, are all confirmed and ready to go. So, what can possibly go wrong? Well, occasionally there are one of two things that may need quick thinking and astute planning. Our tips for avoiding wedding disasters should help. Inevitably with so much to co-ordinate, there can sometimes be a couple of last minute issues. Over the years, the team and I at The Barton Grange Hotel have helped couples in avoiding wedding day disasters – large and small, so here is a little advice on what to look out for and how to manage the mishaps! 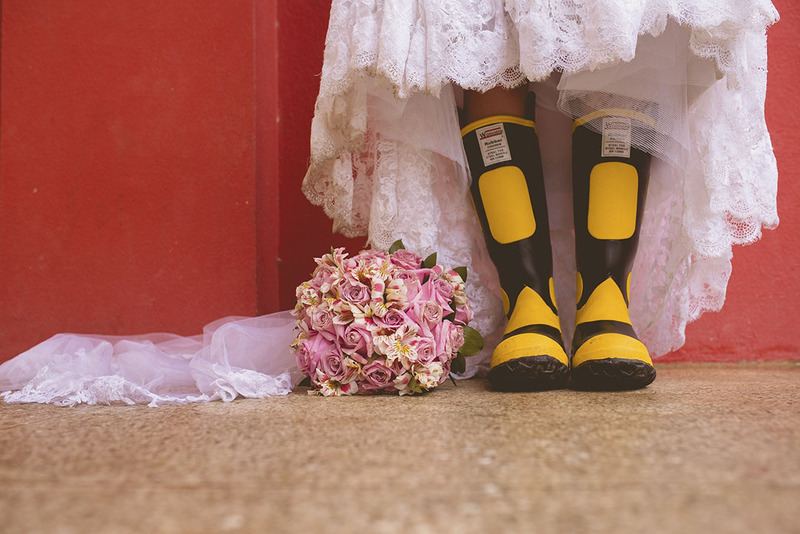 It rains – you should never count on the weather especially in the British summer and weddings in Lancashire always need to factor in the weather forecast! Have a Plan B for photographs that’s inside your venue. A gorgeous staircase, an ornate bay window or a beautiful background of contemporary flowers can all work. Plan this all with the photographer in advance so you can check the lighting will be right for the very best photos. Also consider investing in lots of big umbrellas, perhaps branded with your name and wedding date, so guests can easily move between cars, churches and venues without getting wet….and then take them home as a keepsake. If your wedding venue in Lancashire is a marquee, ensure you have the best quality flooring inside and for pathways. You don’t want to be walking and dancing through puddles! Mixed up the guest list – it often happens where there’s mix up between some all day and evening only guests. Don’t worry – most wedding venues in Lancashire will happily accommodate one or two more guests that can be squeezed around a table and, if it’s buffet, there shouldn’t be any problem at all. Just let your venue know as soon as you realise the mistake. I always think it’s wise to cater for a couple of extra wedding breakfast guests just in case, have a few spare place setting cards and perhaps design a table plan where guests names can be added if needed. Avoiding wedding day disasters is often about belt and braces planning! Speech writing woes – if your dad, husband-to-be or the best man is really struggling writing their speech then there’s lots of help on the internet. It may not seem personal to your or your big day but there’s plenty of opportunity to add in your names/personal situations to ensure it’s bespoke to your day. Buy the best man one of the many books available to help. Or perhaps ask friends to send anecdotes about your both that may be suitable to use in the speech or old photos which can be shown on a large screen. Also allow plenty of time to write and rehearse the speeches – thorough practice may help allay nerves. 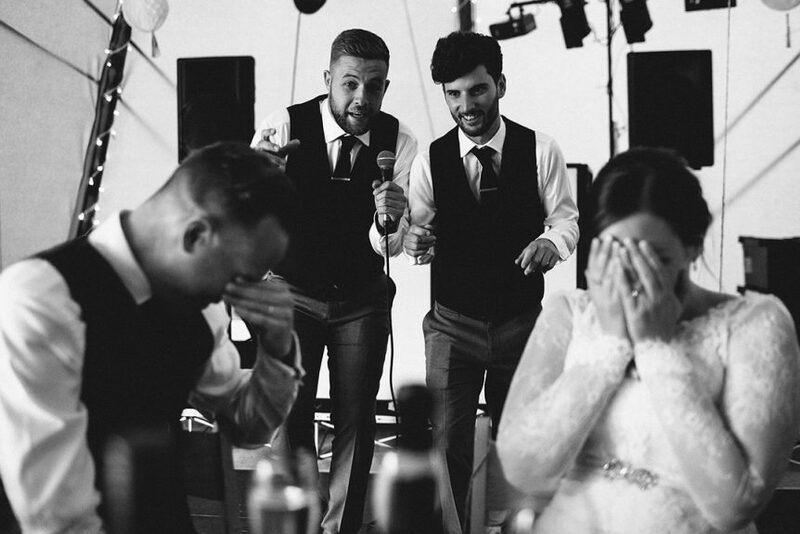 Increasingly, weddings in Lancashire are involving technology, such as microphones, presentation equipment or SKYPE connections to family abroad, – so please ensure it is all tested in advance. We don’t want speech nerves to be frayed any more than necessary by technology let-downs! Last minute nerves – talking of nerves. The wedding team and I have helped calm down lots of brides, grooms, best men and father’s of the brides. We are experts in helping them through the big day and getting them through what can be the daunting prospect of getting married in front of friends and family to public speaking for the first time in their lives. Many couples find a top table set up too much pressure, for example. A top table is not essential. Couples can have a “Sweetheart table” just for the two of them instead, or join their guests at their dining tables. This also works well for blended families, where the bride and groom join one table for the starter course and then move to other tables for the main and dessert courses. It allows them to spend time with children, step children and extended families equally. Just let us know any concerns and we’ll be glad to lend a hand and help everyone experience the best day ever. It’s always best to let your venue and wedding co-ordinator know if there are any last-minute problems as they will have invariably seen it all before and avoiding wedding day disasters will be their Mastermind specialist subject! There’s nothing that can’t be sorted in time for your special day. All you need to focus on enjoying every minute of the celebrations. Happy planning!